Reliance Entertainment plans to begin acquiring North American and European mobile game studios starting in early 2015, in hopes of becoming a significant global player in the fast-growing mobile games industry. The company, which is the biggest stakeholder in DreamWorks Animation Studios, is in talks with bankers to identify and acquire up-and-coming mobile game studios in North America and Europe to boost sales, chief executive Manish Agarwal told Reuters in a phone interview. "We will go full steam in the January and February time frame in terms of identifying studios," Agarwal said. "Gaming is going to be the largest share of the pie of entertainment time spent, and Reliance would like to be a sizeable player in that space." Reliance Entertainment is a unit of Reliance Anil Dhirubhai Ambani, one of India's largest conglomerates, with businesses ranging from financial services to infrastructure and power. Its Reliance Games unit is looking at smaller studios at $2 million to $5 million a pop, at least initially, according to Agarwal. Agarwal said the potential for Reliance Games is "huge." "In three years, our business will make $50 million in net revenue, and in five years we'll be a $100 million company," he said. Net revenue is after cuts taken by app stores from Google, Apple and others. Reliance Games, which to date has focused on making titles related to Hollywood properties in partnership with studios such as Warner Bros, Sony and Lions Gate, hopes to use acquisitions to expand into other genres, Agarwal said. Genres of interest include real-time action strategy akin to Supercell's "Clash of Clans," puzzlers like King's "Candy Crush Saga," builder games like Supercell's "Boom Beach," and social casino games. Reliance Games develops its own titles at its Pune-based studio in India as well as partnering with other game studios. With about 50 million downloads, its most successful game franchise has been "Real Steel," with action titles based on the DreamWorks movie with the same name featuring Hugh Jackman. In the face of competition from larger and more seasoned players such as King and Japan's GungHo Online Entertainment, Reliance has yet to make waves in a competitive mobile gaming space that investors worry is a fickle, hit-driven business. Agarwal, who did not identify targets, made it clear that Reliance does not want studios that could be one-hit wonders, such as OMGPOP, which was acquired by Zynga for $200 million but shut down over a year later. Reliance Games wants nimble studios of five to 12 members and that are "one game away from creating that elusive hit and looking to scale," Agarwal said. "If the game is already doing good, the shelf life of the game could be six to 12 months." Currently, about 70 per cent of Reliance Game's revenue comes from North America, the UK, Russia and Korea, and about 20 per cent from India, mostly from games offered through telecom carriers rather than app stores. "For us, it is not an India story as yet as the opportunity lies in growing globally, Agarwal said. 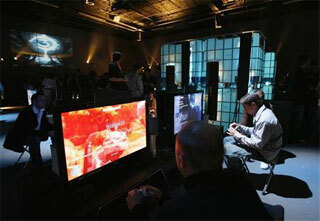 "India is the fastest growing market in terms of Android and gaming is going to compete with TV watch. ... What China is today, India will be in the next 24 to 36 months."